Are you a sports fan? Even if you’re not, you probably know someone who is. And, they have probably made it well known what their favorite teams are. That’s because the process of rooting for the “home team” is deeply ingrained in most of our lives, often having started in early childhood. But what happens to these memories when a loved one struggles with dementia, such as Alzheimer’s disease? We know that they can forget something that happened only moments ago. Yet, studies show that some long term memories often remain intact, especially those that stirred emotions in one’s earlier years. 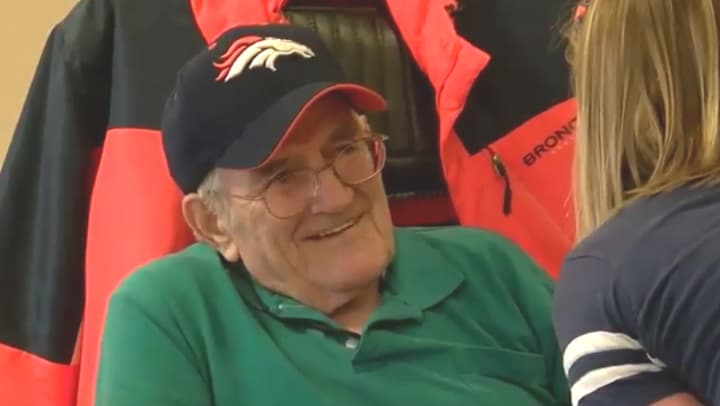 Therefore, it’s not surprising that, for the residents of Chelsea Place Memory Care in Aurora, Colorado, nothing, even dementia, gets in the way of cheering on their Broncos football team each week. These amazing moments of recognition are precious for residents as well as family and friends. That is why Anthem Memory Care caregivers take the time to develop a deep understanding of each individual’s life story as well as their memory and cognition levels. They know that, while their capabilities will change over time, there may that one social situation that might spark some of those precious memories. Photo taken from video courtesy of The Denver Channel.